The Color of Crisis Forum was moderated by Rev. Ford. The panel consisted of Mayor Allen Joines, members of the City Council, Rep. Derwin Montgomery, Rep. Evelyn Terry, and Senator Paul Lowe as well as school board chairwoman, Malishai Woodbury. 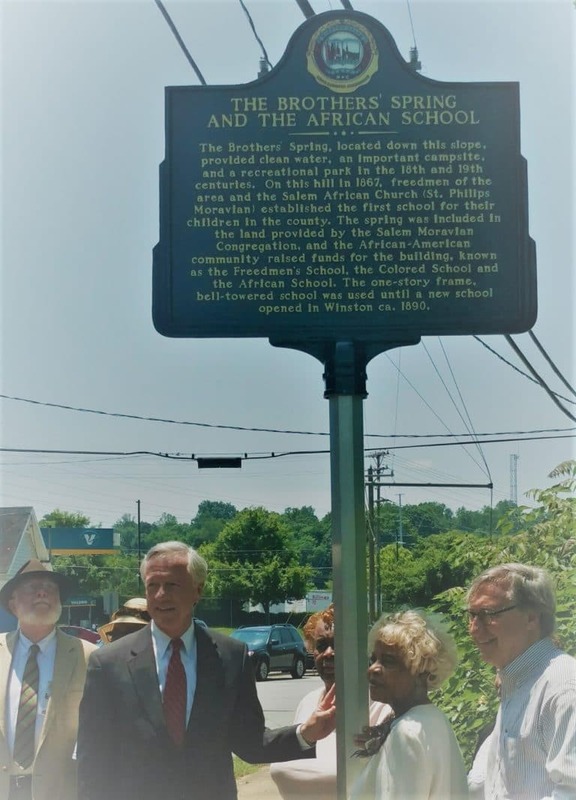 School board co-chair, Barbara Hanes Burke, Councilmember Dan Besse, and County Commissioner Fleming El-Amin were also in attendance. Former Councilmember, now Representative Derwin Montgomery began by reviewing the disenfranchising bills that Rep. Donny Lambeth filed at the end of March. HB 490 staggers WS/FC school board terms in a manner that would hurt District 1 in the short-term. Lambeth told the Journal recently that “staggered terms allow elections to have part elected but also allow incumbents to continue so there is continuity of experience.” Experience or the lack of experience has been a fixation of conservatives (and one Democrat) on the school board when indirectly describing their extremely qualified chair and co-chair. The local GOP really fears an all-woman, Black led school board, perhaps even more than they fear equity. HB 518 requires the Forsyth County Commissioner’s approval of any changes to the county’s current school choice system. HB 518 is blatantly partisan. Donny Lambeth doesn’t want a policy that he played such a pivotal role in crafting and implementing when he lead the school board to be dismantled. Apparently, Lambeth likes our current segregated school system. HB 519 is a radical redesign of the Winston-Salem City Council. It reduces Winston’s eight wards to five, packing three current African American Councilmembers into a single ward. HB 519 also introduces three at-large council seats and gives the mayor full voting privileges. 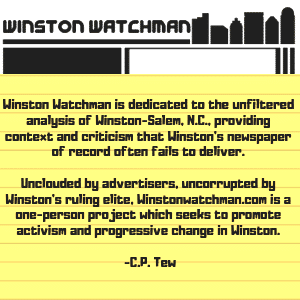 It also reduces terms of the Winston-Salem City Council from four years to two years. HB 519 is obviously meant to dilute the political power of African Americans in Winston and weaken the Democrat’s hold on the city. HB 519 is like a contractor showing up on your doorstep one morning to completely revamp your home without your input or consent. I’m all for reforming the City of Winston-Salem’s politics, but Donny Lambeth is not the man that I want to do it. The people of Forsyth County elected Donny Lambeth to the State House of Representatives to address the state’s problems, not meddle in his backyard. As Rep. Evelyn Terry said, “the people have not asked for this legislation.” HB 490, HB 518, and HB 518 are partisan politics, from a gerrymandered state where the politicians pick their voters, instead of voters picking their politicians. The lesson that Lambeth is teaching progressive activists in WS/FC is that if you don’t have power at the state level, then you don’t have any power. Though HB 490, HB 518, and HB 519 have yet to become law, there isn’t that much that Democrats in the General Assembly can do to stop Lambeth’s bills if he’s determined to pass them. Montgomery and Lowe explained possible scenarios for Lambeth’s bills as they make their way through the General Assembly. But the bottom line is that Rep. Lambeth has a great deal of power in Raleigh. There is a very real possibility that Lambeth bills could become law. While Forsyth County’s Democratic members of the General Assembly work to foil Lambeth efforts to turn the clock back in WS/FC, Mayor Joines told the crowd at First Baptist that the City was weighing its legal options. Joines expressed optimism that Donny Lambeth would have an epiphany on the road to Damascus (hopefully the next time he’s on the road to Raleigh). If Lambeth decides to move forward with these three bills seeking to make WS/FC in his own image, hopefully, the courts will stop Donny’s bills before they do any damage. But, as the head of the Winston-Salem Urban League, James Perry stated, nothing is certain when it comes to the courts. It’s still crucial for activists who would like to see Winston-Salem/Forsyth County become less segregated, not more to act. 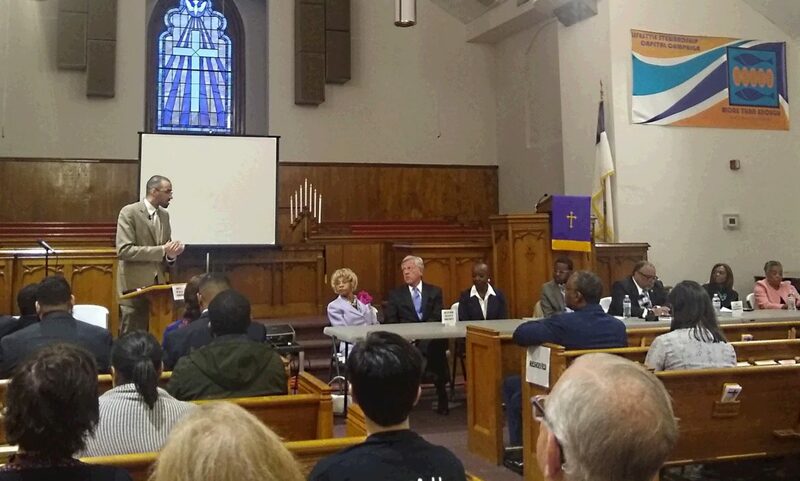 The panelists on the forum encouraged everyone to write letters to the editor, discuss and share posts about Lambeth’s shenanigans on social media, sign a petition, call and email Donny Lambeth and Debra Conrad, and even go to Raleigh if you can. Politicians at every level should be held to account. 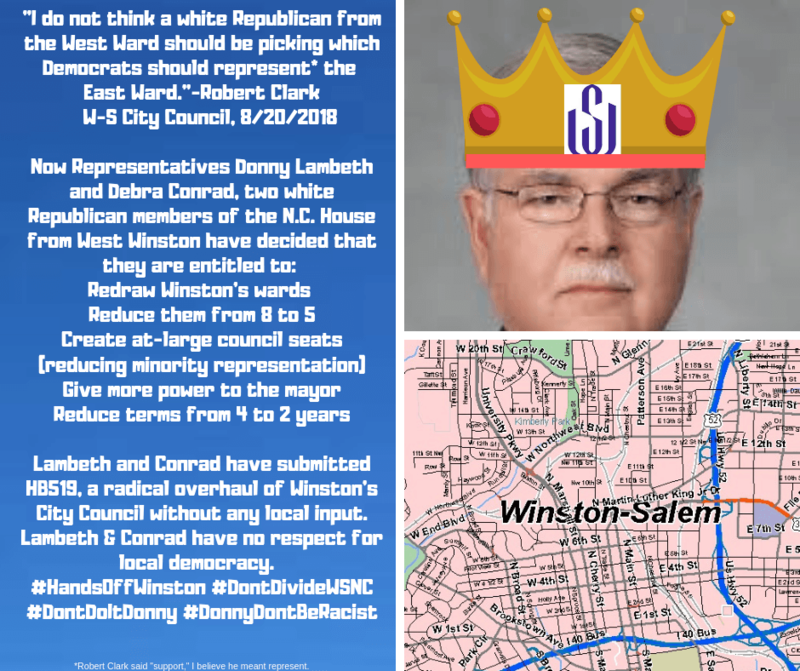 While I continue to criticize the mayor and members of the Winston-Salem City Council for their many shortcomings, I do support their efforts to stop Donny Lambeth from declaring himself the king of WS/FC. I agree with Rev. Ford, who closed Monday night’s forum by saying, “we need a multiracial coalition to make sure these bills are defeated.” Rev. Ford reminded the audience how much the establishment hates inter-racial voting coalitions. He encouraged “all of you white folks to go back to your communities and organize against these bills.” And that is exactly what we need to do. We need Black, Latinx, and white working together in Forsyth County. We can’t allow Donny Lambeth to divide us along racial, geographical, or socio-economic lines.